Everyone responds to grief in their own time and way. 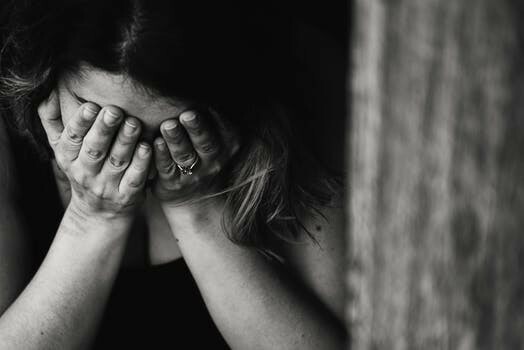 The five stages of the grief process, denial, anger, bargaining, depression, and acceptance are all part of the stages that enable us to learn to live with our loss and begin to heal. They are not a step by step process that must be done in a certain order. Everyone grieves in their own way and may do one step before or after another and perhaps more than once. 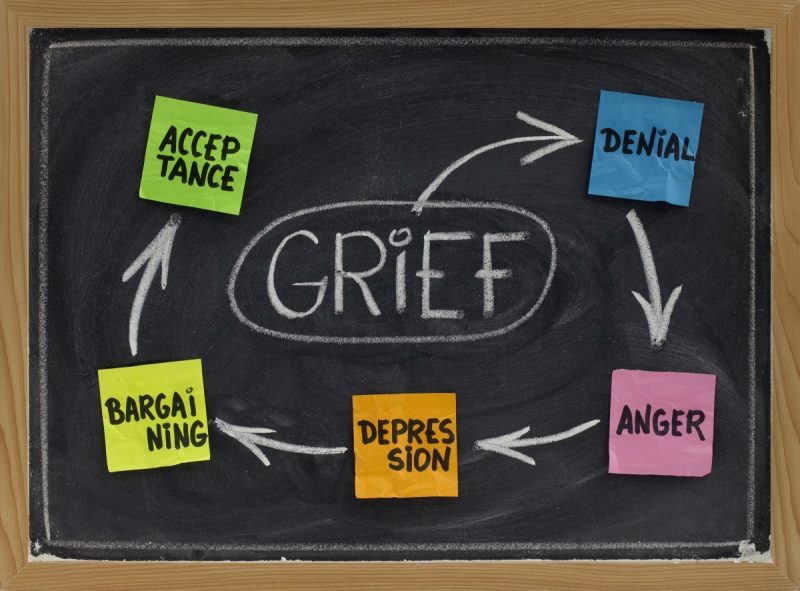 The stages of grief provide a framework to hopefully enable us to recognize what we are feeling so we can better navigate the process of grief. When experiencing a loss the depth of the relationship will help shape what your process of grief looks like. When I lost my mother I grieved much differently than when I had my stillborn and miscarriages. For more on what the grief process looked like for pregnancy and infant loss please read Pregnancy Loss and Healing. Denial is the first stage of grief. It is characterized by a feeling of this can’t be happening. It is often accompanied by a feeling of numbness. I remember losing my mother and my world stopped. I asked why is this happening? How can I go on? What’s the point? Eventually, my mind just shut down. I experienced this again with all my pregnancy losses. This is a state of denial or almost a disbelief of what is happening. This numbness is what helps people get through the initial shock. It helps a person survive the initial blow of losing their loved one. As the initial numbness subsided other emotions are allowed to come forward. After the initial stage of denial is anger. Anger is a necessary part of grief. Accept it for what it is. In a sense, it gives you something to focus on instead of all the emotions overwhelming you. It is normal to be angry at friends, family, and strangers. People often find themselves angry at themselves and questioning did they cause the tragedy or was there something more they could have done. There may also be anger towards the doctor who could not save the loved one. And finally, there can be anger towards the loved one they lost. When my mom passed away I was angry at the paramedics and doctors. I also found myself angry that my mom had not taken better care of herself so left me without her when she was only 42 yrs old. I felt cheated like if she had lost weight or taken her medicine she would be here so was it she did not care enough to stay. These were all normal emotions. When first experiencing a loss you may feel lost. 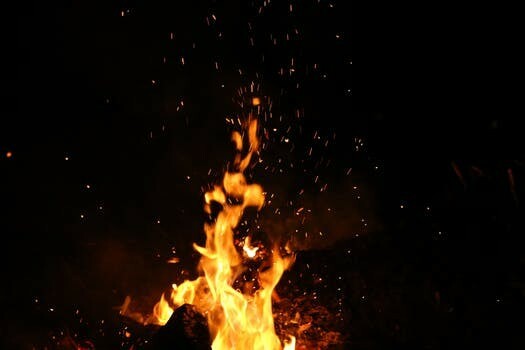 Anger gives you a focus and helps you out of the bewilderment. Before a loss, you may be willing to offer anything in exchange for the persons survival. When my mom was being rushed to the ER I prayed that I would do anything in exchange for her being ok. When I was brought into the room and informed she had passed I prayed that it was a dream. I remember offering my life in exchange for my stillborns if the doctor could save him.You may experience this. 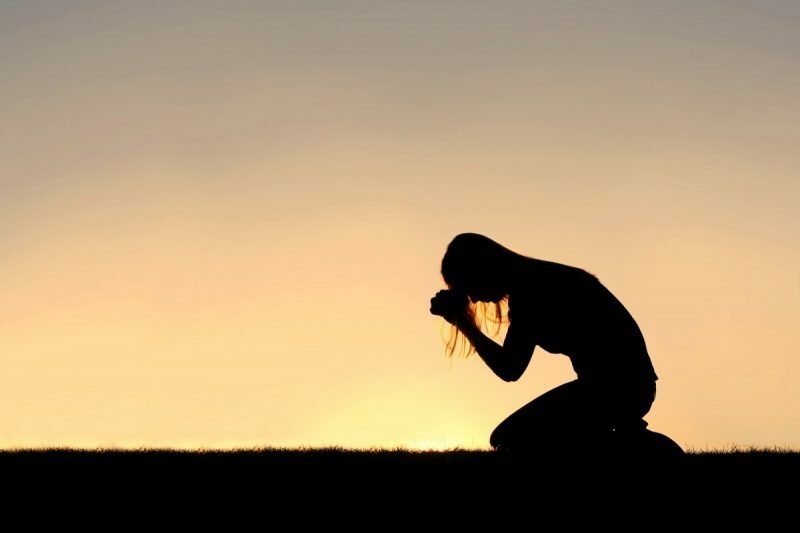 The willingness to do anything for your loved one When they pass you may think and pray that you will do anything for time to go back or for you to wake and find out it was a horrible nightmare. There may be a lot of thoughts of If only I had done this or that. If only I could talk to them one more time. After bargaining sadness really sets in. It’s a soul-deep sadness. There may be a feeling of emptiness and grief that you never imagined you could feel. This is not a sign of mental illness but is a healthy response to your loss. The magnitude of your sadness will weigh heavily on the relationship you had with your lost loved one. People often feel that they should snap out of it and realize death is an inevitable and natural part of life. But the truth is despite knowing we all eventually die it is a devastating part of life. Our mind and heart do not want to acknowledge or accept that our loved one will not recover and is truly gone. When I lost my mom the hardest part was realizing I could not sit and talk to her over coffee ever again. When I lost my child it was that death happened before there was ever life. 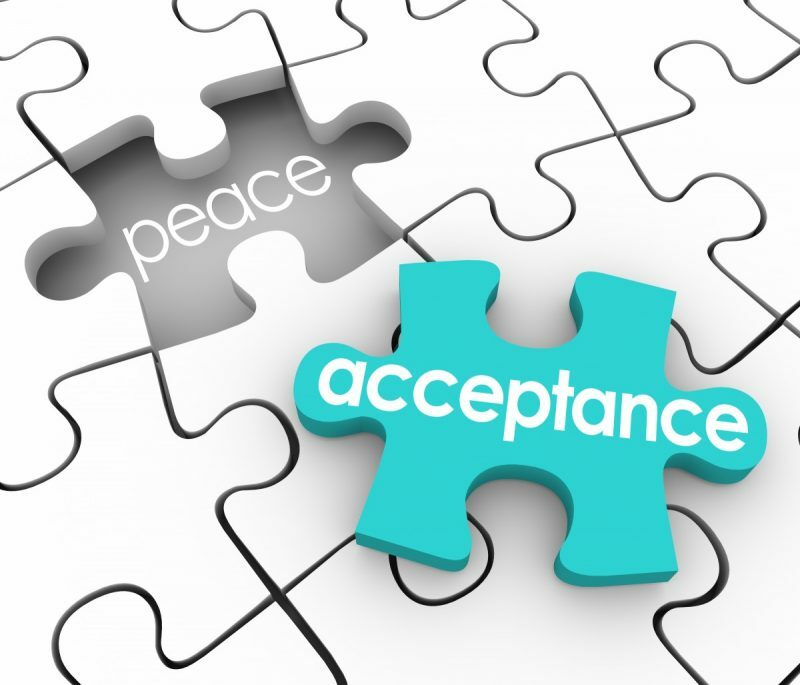 When people hear the word acceptance they often think this means ok or that everything is fine now. This is not what acceptance means. Acceptance in the grief process means that after all the other emotions you accept that this is a new reality. You accept that your loved one is gone and nothing can change that. It is realizing life as you knew it with your loved one is different now. You begin rearranging your life and forming new relationships to supplement the one that is forever gone. At times it is normal to feel you are betraying the memory of your loved one or forgetting them but this is not true. You are healing and accepting that this is a new reality and that life continues after death. As you navigate the grief process keep in mind everyone grieves and heals differently. You may experience grief longer than someone else or respond in a completely different way than they do. There is no right or wrong way to grieve. As you begin to heal and accept that there is a new road you have to travel you will begin to live again and enjoy life. It’s important to remember that while you can never replace what was lost you will need to invest in old relationships and build new ones. When I lost my mother and all my pregnancies I understood what it meant that death is harder on the survivors. It may take awhile for you to be able to fully embrace continuing on but it is important that you do. If you find that you can not process your loss please don’t be afraid to seek help. There are wonderful grief counselors out there that can help you in your grief cycle. If you do not want to talk to a professional seek out a trusted friend. If you need someone to talk to right away there are National Hotlines that offer this for free. Keep in mind these are volunteers so it is not a professional therapist.